I was given a copy of this one by Linda/Blodeuedd – thank you my dear! I completely didn’t get this book. I know it was supposed to be clever and ironic, tackling important issues in a funny way. Only it wasn’t. A satirical critique of the Millennial generation? You must be joking, right? The main female lead, Verdell, was a brainless office worker surrounded by brainless colleagues and brainless boyfriends/ex-boyfriends. They were touring post-apocalyptic America but they never had time to stop and ponder on the reasons why disasters were falling like rain on their empty heads. Even when one woman of their group was murdered, presumably eaten, they didn’t give a damn, more concerned about their shoes, mobiles, careers and accessories. If only the narrative voice of Verdell was able to impart the irony of that premise I would be perhaps more content. Unfortunately Verdell was simply stupid and the story, told by her, dragged and dragged – quite an achievement, taking into account how much was happening around. An example: in chapter number one Verdell informs us that she has to visit the toilet and it takes her four chapters to find an appropriate place and relieve herself. Which made me so not impressed. This one features the lamest heroine I have ever seen plus other characters so abysmally stupid that you don’t know whether you want to cry or you want to laugh or both. I disliked The Girl’s Guide to the Apocalypse so much that I abandoned it 30% in – sorry B. 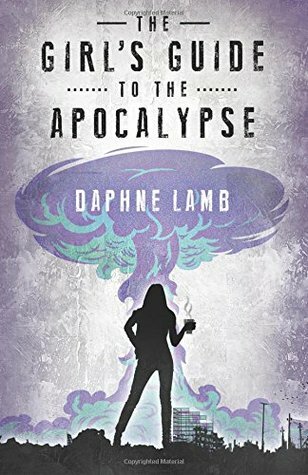 This entry was posted in a total failure, book review, chicklit, dystopia, rating and tagged a stupid heroine, a total failure, boring, daphne lamb, heroes too stupid to live, the girl's guide to the apocalypse. Bookmark the permalink.